Delvinia has been selected as one of 15 businesses to partner with Ryerson University under a federal initiative designed to help companies in southern Ontario become more innovative and competitive. The research project, funded through the Federal Economic Development Agency for Southern Ontario’s Applied Research and Commercialization Initiative (ARC), will examine the factors that motivate Canadian consumers to participate in market research. Richmond Hill MP Costas Menegakis and Ryerson University President Sheldon Levy announced funding for the initiative at a press conference held at Ryerson’s Digital Media Zone earlier today. Delvinia’s partnership with Ryerson will identify motivators for participation in social media and tactics that can be built into market research to create a more engaging experience for participants—an issue that is fundamental to the growth of our AskingCanadians online research community. “If we are successful in identifying the underlying motivation to participate in market research in the digital age, it will not only make the market research industry more relevant, thus providing useful feedback to companies seeking to solicit the opinions of their customers, but it will position Canada as a global leader in the advancement of new methodologies in market research,” says Froman. 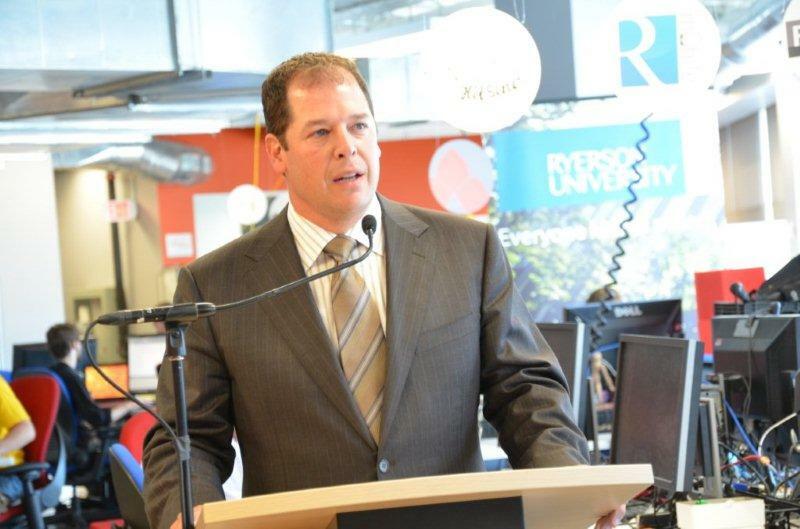 Under the ARC program, Ryerson University has been approved for $750,000 from FedDev Ontario to partner with small- and medium-sized businesses on activities like applied research, engineering design, technology development, product testing and certification. For more information about today’s announcement, please visit www.feddevontario.gc.ca. Adam shares his thoughts on the partnership in the video posted here.